It's only eight weeks until Christmas, and the NightQuarter is celebrating early with their Christmas Markets! Decked out with trees, tinsel, lights and a variety of Christmas-themed stalls, NightQuarter is the perfect place to fulfill all of your Christmas desires. From home decor to children's toys and with plenty of festive food available, treat yourself at NightQuarter these holidays! Summer is almost here, and Raven Lounge Bar in Chevron Island has the perfect solution to your summer snack needs - The Raven's Body Box! Launching on the 13th of November, you'll be able to personalise your box to suit all of your needs and wants. With fresh salads, fruit, acai and charcuterie available, as well as plenty of deserts for all of the sweet tooths, no box will be the same! And for those who don't have the time to go to the store - They deliver too! Bring on Summer! They say a picture is worth a thousand words, and the artists in West Burleigh's Warehouse No. 5 certainly believe that - That's why they're hosting an art journalling workshop! Guiding you through still life, portrait, landscape and patterns, you'll be able to hone your creative skills and explore what it means to create art through this unique and incredible workshop. Better yet, the journals and all of the tools are required - Simply book yourself a spot and show up! Northern Gold Coasters - A Food Truck Picnic party is coming to Damian Leeding Park in Oxenford! Kicking off at 3pm all the best food trucks will be converging on the Park, with incredible live music from The Gypsy Wagon and entertainer Sparky Do Dah showing up to entertain the kids! With plenty of food, music and entertainment to go around, this Food Truck Picnic is the perfect way to end the weekend. Calling all chocolate lovers - A new Nutella Bar has just landed! 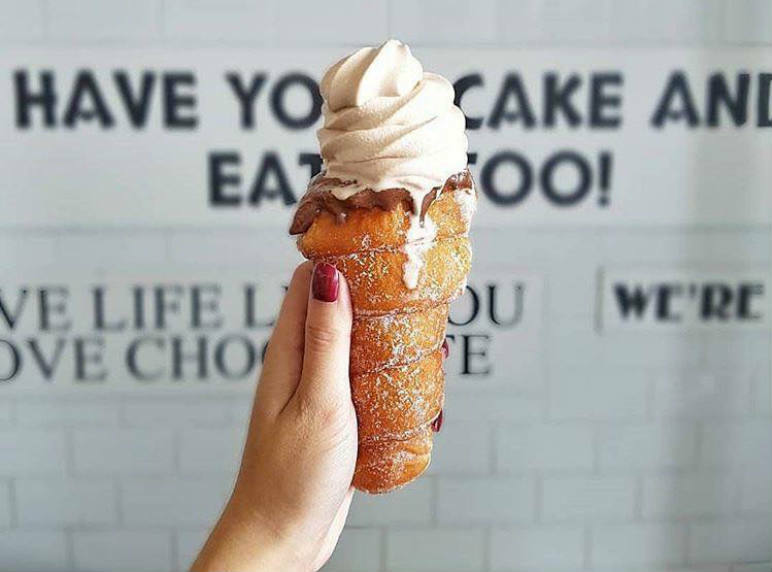 Located on 10 Beach Road Surfers Paradise, this Nutella haven is the perfect place to satisfy all of your chocolate cravings. Serving up a mouthwatering menu of nutella-based items, there's no shortage of sweet treats here - With everything from nutella crepes and waffles to their famous Tella Ball shakes, you won't want to miss this! I'm a creative at heart - I love reading, I love writing and I love my social media! I spend the majority of my time sipping coffee and finding the next best cafe, but when I get a second off chances are I'll be brunching at my local or running off to whatever event is on that night! During Summer you can find me sipping coffee and tanning down by Burleigh Beach, and in Winter I'll be skiing the slopes of Perisher or buried under a mountain of blankets with chocolate and a good book.